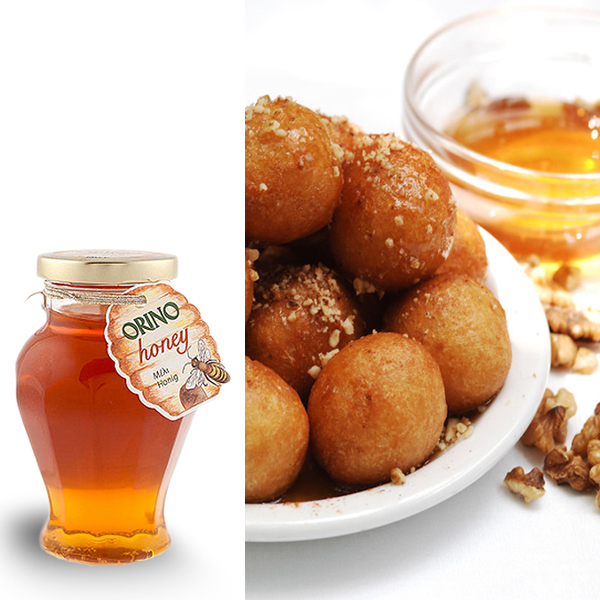 View cart “Honey with Masticha” has been added to your cart. Intensely aromatic honey with a pleasant taste and bright amber appearance. It belongs to the flower honeys, but it is actually a separate category because of the intense aroma and flavour characteristics. Thyme honey is considered to have tonic and antiseptic properties. It also acts preventively in cardiovascular disorders and has a beneficial effect in diseases of the urinary and peptic system. The specific type of honey crystallizes within 6 to 18 months. Melissokomiki Serron is a small family-run business which for three generations now makes sure and cares over the quality of honey that reach your table. Honey contains trace elements, essential for metabolism and nutrition, components of bones and cells, which participate in various enzyme systems and regulate the acidity of the stomach. The vitamins of the honey facilitate the absorption of sugars. It has furthermore antiseptic properties (assists in healing, cleansing and disinfection of wounds), acts energetic, increases the heart rhythm function, reduces stomach ulcers and helps the rehabilitation in cases of anemia due to its containing ferrous.